Stop by Designbox on First Friday, May 1, for a hands on display of Spoonflower products, including fabric, wallpaper and gift wrap. Spoonflower reps will be here from 6-9pm to talk about what their company has to offer the creative community in the Triangle and answer any questions. Spoonflower is a locally run business based in Durham, NC that allows customers to design, print and sell custom fabric, wallpaper & gift wrap on-demand. Or shop from the largest marketplace of independent surface designs. Which is why we LOVE them!!! Designbox has been a long time customer of Spoonflower, using their services to create one-of-a-kind shoe prints and patterns for Lyf Shoes. We love their customer service, user interface and creative vibes, and are very excited to showcase their products in our gallery for the month of May. Don’t want to design your own? 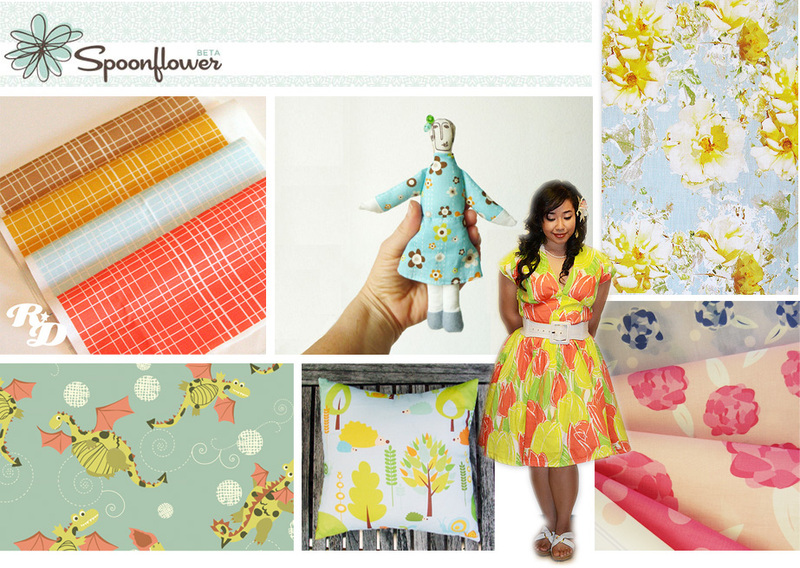 Spoonflower’s marketplace includes designs created by people all over the world. Indie artists earn commissions on every sale. Order as much or as little as you need. There’s no fee for small quantities, extra colors, or custom designs. Spoonflower ships all over the world starting at just $2.00. Need it faster? Choose an expedited shipping option to make sure your order gets there right on time.